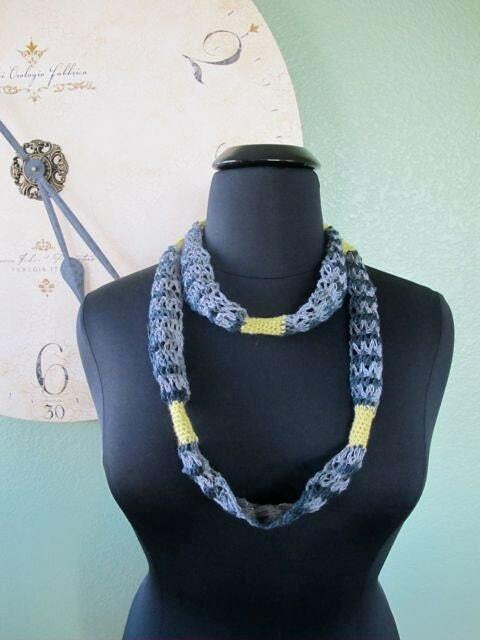 The Linen and Lace Necklace is crocheted using Linen Lace in smokey greys with hot lime accents. The ribbons of linen connected by shorts tubes play with the idea of cut lace having almost a distressed look. 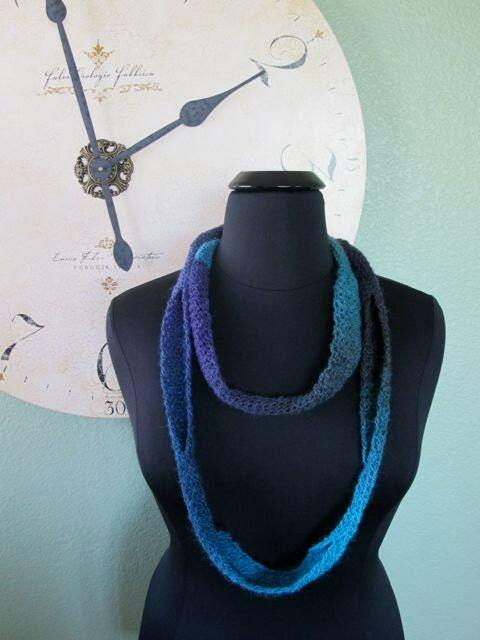 Crocheted from fine fiber, this necklace is cool enough to be worn any time of year. 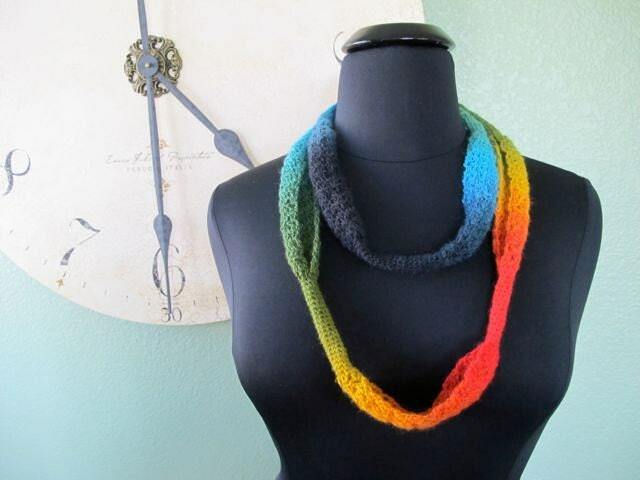 Create the same look with a heavier yarn and you have a cozy infinity scarf for winter. The Grey and Hot Lime scarf featured in this pattern were made using Linen Lace by Claudia Hand Painted Yarns in the color Rain on Bluestone. The Hot Lime accent color comes from Serenity's sock weight yarn. 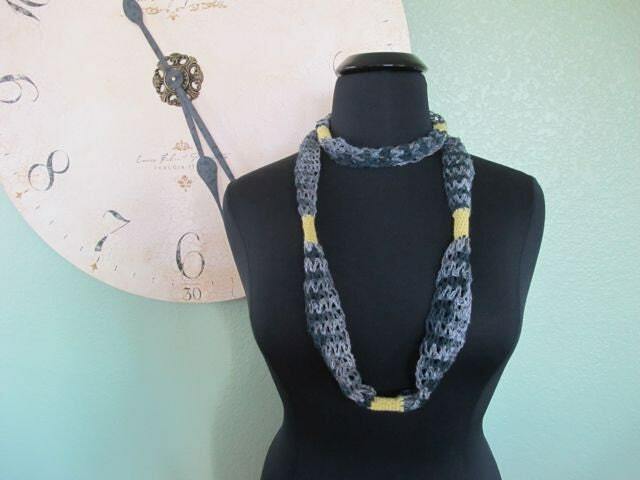 The ribbon sections are approximately 1.75" wide and the necklace is 66" long though the length can be easily modified. This purchase is for the LInen and Lace Necklace pattern only. It does not come with any of the necklaces pictured here. This pattern is copyrighted and for your personal use only. The necklace may be made and given as a gift, but the pattern may not be reproduced for use by others. 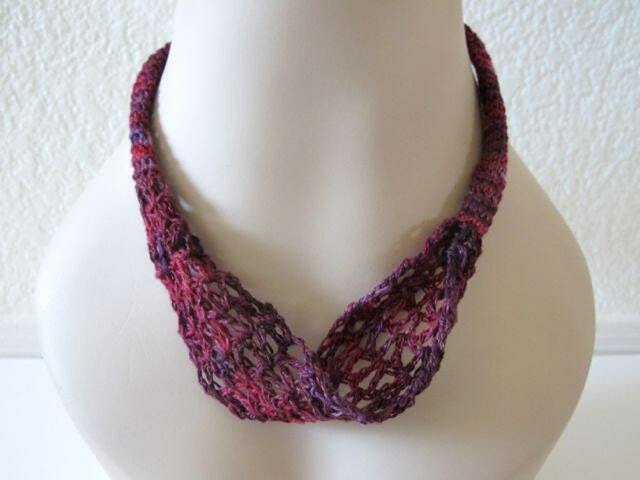 I hope you enjoy making the Linen and Lace Necklace!